75831C is rated 5.0 out of 5 by 2. 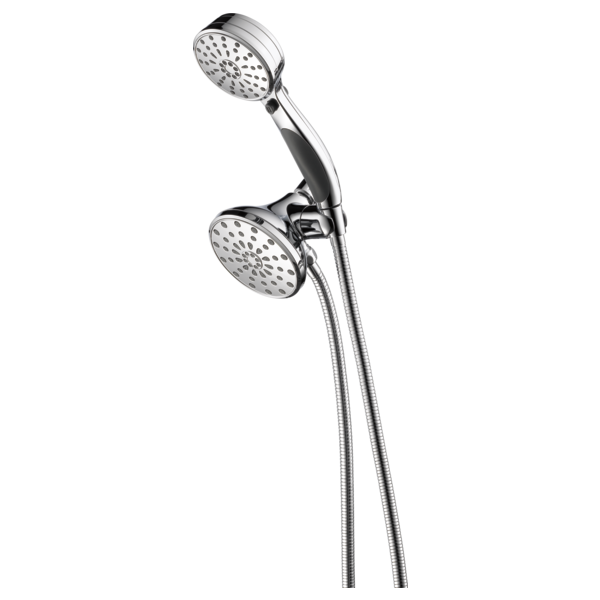 Rated 5 out of 5 by Nativenegro from Marvelous I already have plenty of Delta shower head but this one is absolutely the one I have!!! Its well worth the money and makes shower time so relaxing! Rated 5 out of 5 by Denair house from Looks fantastic11 A perfect match to all the other hardware in my newly renovated guest bathroom. Was easily installed and has a better than average warranty. I always prefer Delta over the other competition, always! are there any plastic parts on this unit? I'm looking for all steel construction. Only the handheld head has buttons to adjust the spray. Does the other shower head only have one spray setting? How do you get the different settings. There are only 3 buttons but there are supposed to be 9 spray settings.